10-inch Frog Stool Statue. A whimsical accent for gardens, decks, walkways, patios and many indoor uses. Constructed from NuCrete, a durable fibre reinforced concrete. Flamingo statue. This graceful animal is captured beautifully with great detail by the artist. This product is made with durable polyresin. It is appropriate for both indoor and outdoor use. 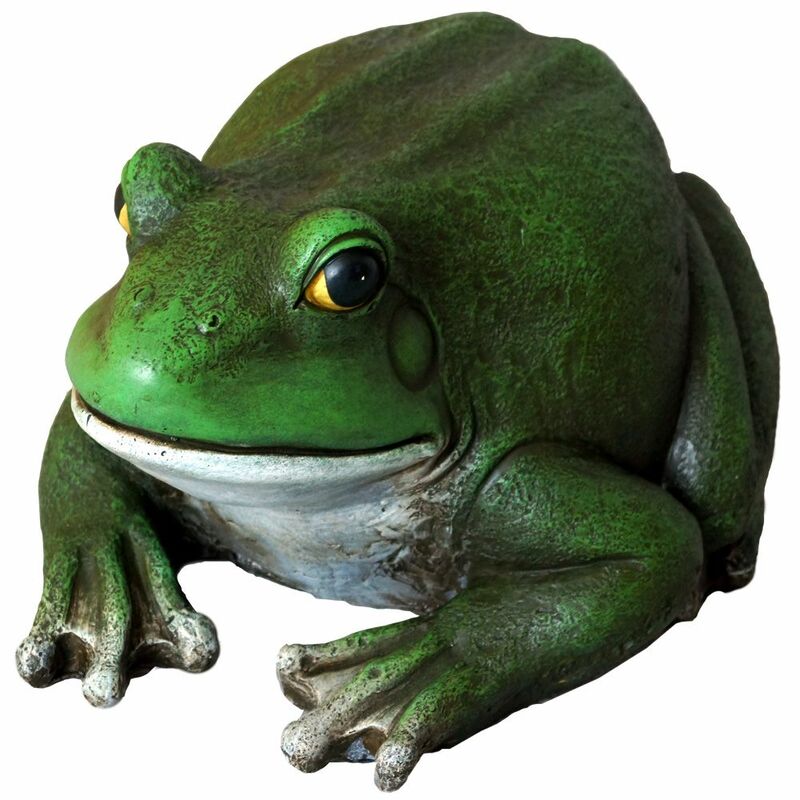 Decorate your entryway, garden or flowerbed with this peaceful contemplating frog. He is sitting in the Lotus position with hands resting on knees. Imaginatively sculpted, his tranquil nature will calm your day. This statue is made of polyresin and is good for both indoor and out. Frog Stool Statue 10-inch Frog Stool Statue. A whimsical accent for gardens, decks, walkways, patios and many indoor uses. Constructed from NuCrete, a durable fibre reinforced concrete.